We are first generation entrepreneurs who took the leap into Real Estate Development after accumulating decades of experience between us as Real Estate Professionals. Ambika in Vedic Sanskrit means Deity & A Mother, and a Mother is known to nurture and work towards growth of all those that come within her fold. 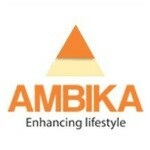 We at Ambika intend to enrich lives of all our stakeholders by giving them meaningful and consistent growth. Each Ambika Realcon will have amenities that address basic needs, features that pander to luxurious wants at affordable prices that embody our philosophy of nurturing its inhabitants towards a wholesome and fulfilling lifestyle. Over the coming years, Ambika Realcon will be synonymous with premium-quality properties and exceptional value for money to a broad client base of home-buyers, Buy-to-Let purchasers and property investors from Punjab, Rest of North India and abroad.